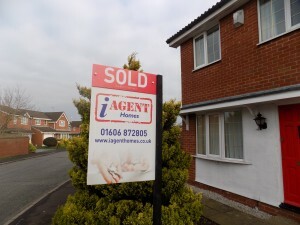 All normal estate agent representation, which includes coverage of your property on Rightmove and other search engines. Our in house solicitors who will act on your behalf for the sale. Ring 01606 872 805, email enquiries@iagenthomes.co.uk or call into your local branch to give your contact and property detail. Arrange a valuation for a time and date that suits your schedule. A professional member of the team will come to the property and undertake the valuation. They and you will agree a price with you. A professional member of the team will take photos, produce property details and produce a floor plan. The property will be launched on Rightmove, the shop window and social media (Facebook, Twitter and Linkedin). Viewings, to take place with either an agent or yourself. iAgent Homes will manage the offers and negotiations. Solicitors who will process the sale. Finally the sale will be completed – the buyer now owns the property. If it is a leasehold flat there may be additional fees to get Management Information on service charges and other things – whilst those fees can sometimes exceed £200, they are normally around £100.